BIOPAN is a multi-user research program by the European Space Agency (ESA) designed to investigate the effect of the space environment on biological material. The experiments in BIOPAN are exposed to solar and cosmic radiation, the space vacuum and weightlessness, or a selection thereof. Optionally, the experiment temperature can be stabilized. BIOPAN hosts astrobiology, radiobiology and materials science experiments. The BIOPAN facility is installed on the external surface of Russian Foton descent capsules protruding from the thermal blanket that envelops the satellite. The BIOPAN program started in the early nineties with an ESA contract for the a joint development by Kayser-Threde and Kayser Italia. It was based on the heritage of a low-tech Russian exposure container called KNA (Kontejner Nauchnoj Apparatury). The BIOPAN facilities are installed on the external surface of Foton descent capsules. It has a motor-driven hinged lid, which opens 180° in Earth orbit to expose the experiment samples to the harsh space environment. For re-entry, the closed facility is protected with an Ablative heat shield. The BIOPAN facilities are equipped with thermometers, UV sensors, a radiometer, a pressure sensor and an active radiation dosimeter. Data acquired by the sensors is stored by BIOPAN throughout each mission and can be accessed after flight. The possibility of overheating during atmospheric re-entry was acknowledged early during the development, therefore, a quite massive heat shield was designed for it. While the total weight of BIOPAN is close to 27 kg, including the experiments, the heat shield is responsible for 12 kg of that figure. The BIOPAN electronics consists of the following units: signal acquisition board, microcontroller board with its flight software, memory board and EGSE. 1 2 3 "BIOPAN Pan for exposure to space environment". Kayser Italia. 2013. Retrieved 2013-07-17. ↑ Charles S. Cockell, Karen Olsson-Francis (23 October 2009). "Experimental methods for studying microbial survival in extraterrestrial environments" (PDF). Journal of Microbiological Methods. 80 (1): 1–13. doi:10.1016/j.mimet.2009.10.004. PMID 19854226. Retrieved 2013-07-31. 1 2 Gerda Horneck and Petra Rettberg (2007). Complete Course in Astrobiology. Germany: WILEY-VCH. ISBN 978-3-527-40660-9. Retrieved 2013-07-17. ↑ "Lichen survives in space". European Space Agency. 8 November 2005. Retrieved 2013-07-17. ↑ Pascale Ehrenfreunda; Richard Ruiterkampa; Zan Peters; Bernard Foing; Farid Salama; Zita Martins. (March 2007). "The ORGANICS experiment on BIOPAN V: UV and space exposure of aromatic compounds". Planetary and Space Science. 55 (4): 383–400. Bibcode:2007P&SS...55..383E. doi:10.1016/j.pss.2006.07.001. Retrieved 2013-07-17. 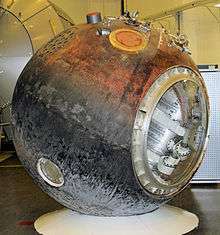 ↑ "Foton-M3 experiments return to Earth". European Space Agency. 26 September 2007. Retrieved 2013-07-17. ↑ Ledford, Heidi (8 September 2008). "Spacesuits optional for 'water bears'". Nature. Nature Publishing Group. doi:10.1038/news.2008.1087. Retrieved 13 August 2012. ↑ "ESA-space experiments: from BIOPAN 6 experiment "Lithopanspermia" to EXPOSE".